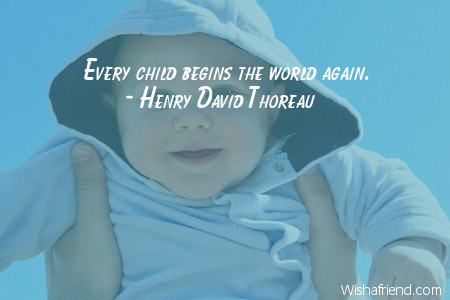 Browse our collection of Baby quotes and sayings. 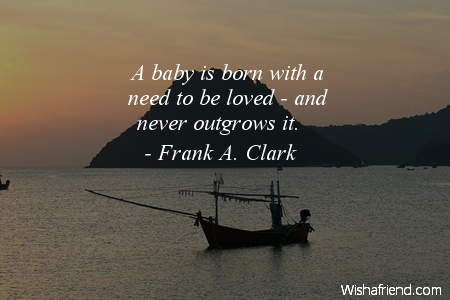 Share Baby quotes with friends and family. 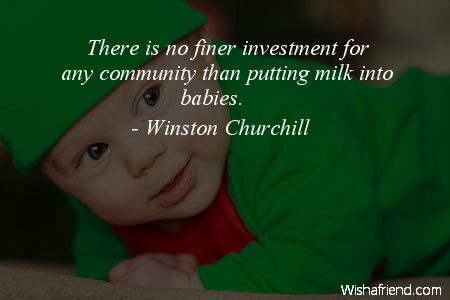 There is no finer investment for any community than putting milk into babies. There was a never a child so lovely but his mother was glad to get him to sleep. God cannot be everywhere, so he made mothers. 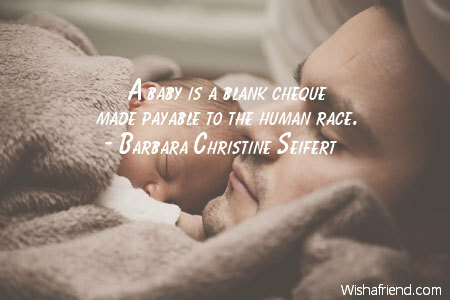 In the sheltered simplicity of the first days after a baby is born, one sees again the magical closed circle, the miraculous sense of two people existing only for each other. 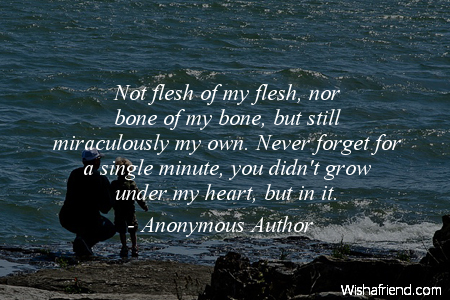 Not flesh of my flesh, nor bone of my bone, but still miraculously my own. Never forget for a single minute, you didn't grow under my heart, but in it. 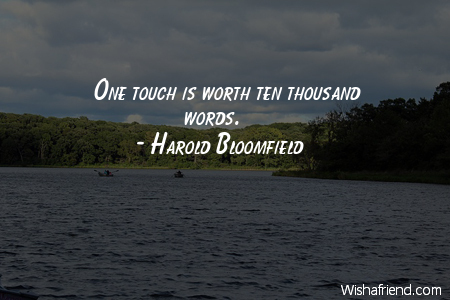 One touch is worth ten thousand words. 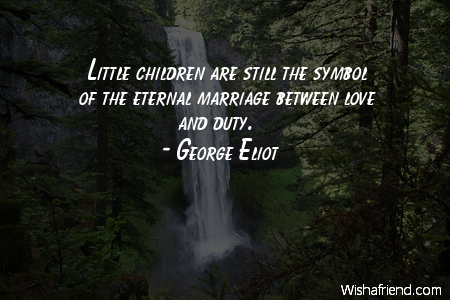 Father asked us what was God's noblest work. 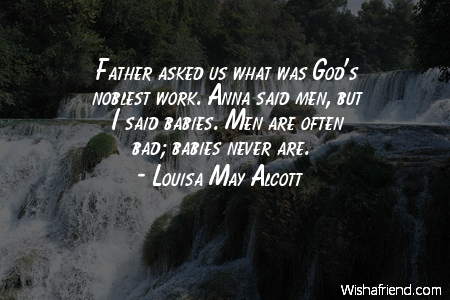 Anna said men, but I said babies. 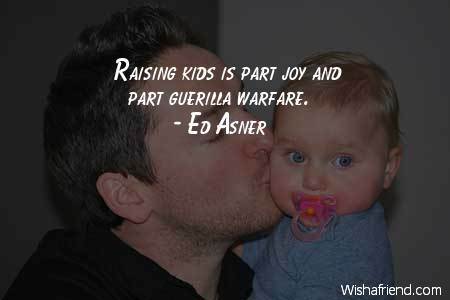 Men are often bad; babies never are. 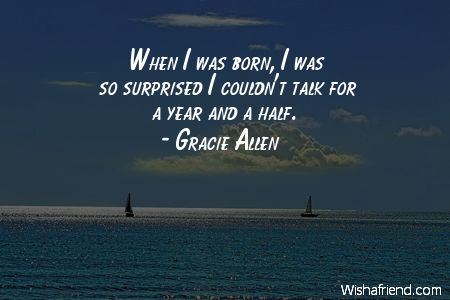 When I was born, I was so surprised I couldn't talk for a year and a half. 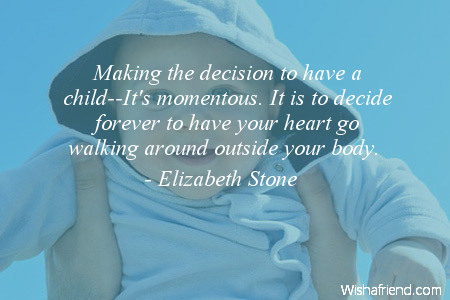 Making the decision to have a child--It's momentous. It is to decide forever to have your heart go walking around outside your body. 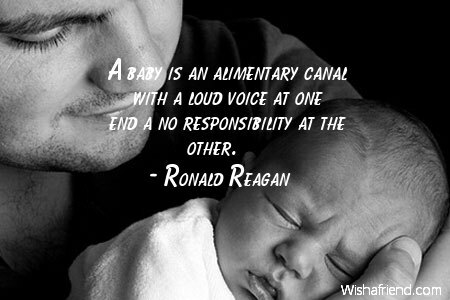 A baby is an alimentary canal with a loud voice at one end a no responsibility at the other.